The mind of Tim Burton continues its unparalleled ability to birth fantastic worlds, in this case a retelling of Lewis Carroll's classic Alice in Wonderland. 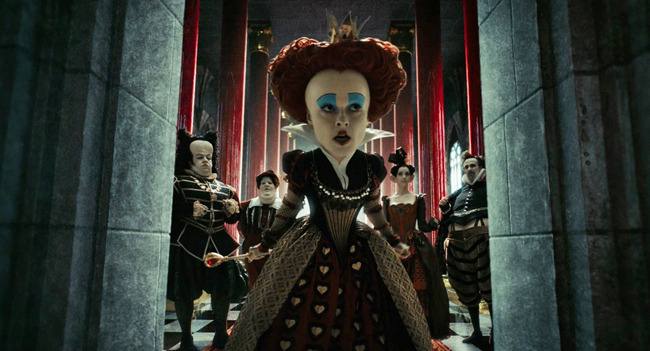 The version stars Burton regulars Johnny Depp (as the Mad Hatter), a simply brilliant Helena Bonham Carter (as the Red Queen - "I need a pig here!") and Mia Wasikowska as the now 19-year-old Alice returned to Wonderland - her memory muted - to do battle with the Jabberwocky (the voice of Christopher Lee) once again. Like all Burton films, the look is everything and the look here is mesmerizing and alone, worth the price of admission. That, and enjoying the gushing over-the-topness of Carter. While not groundbreaking or epic, Alice in Wonderland is fun, funny and fantastically fabulous.